Mastitis is a dreaded breast infection that can literally send chills down a nursing mom’s spine. The fever, achy body, breast pain, headache and more is really awful! Typical treatment for mastitis involves seeing your OB/GYN or midwife, getting an antibiotic prescription, and then resting at home. However, many moms try to avoid antibiotics if at all possible, leaving some to wonder if there are natural remedies for mastitis. I can personally say that I have successfully used natural remedies for mastitis multiple times to get rid of the infection without ever taking an antibiotic. It’s very important to note, though, that I am not a doctor or trained health care practitioner, and that breast abscesses are a complication of mastitis. Try the following suggestions, along with the advice from your health care provider, should you have a mastitis infection. If you choose to use these suggestions in place of an antibiotic, pay close attention to how the infection progresses. If it worsens, seek help from your doctor. Raw garlic is one of nature’s best natural antibiotics! It also has antiviral and anti-fungal properties. When I treat mastitis at home, I mince up around three cloves of garlic and eat them on buttered toast. I typically eat these “garlic sandwiches” two or three times a day. Keep a glass of milk or water handy. Raw garlic packs quite the bite! Lecithin is a compound found in foods that may help reduce the “stickiness” of breast milk. In doing so, it can help clear any plugged ducts that are contributing to the mastitis infection. You can take lecithin in supplement form or through food. I prefer eating extra eggs for the lecithin found in the yolk. In fact, I make “dippy” eggs (over-easy) and dip my garlic toast into it when trying to kick mastitis! Lecithin supplements can be found here. 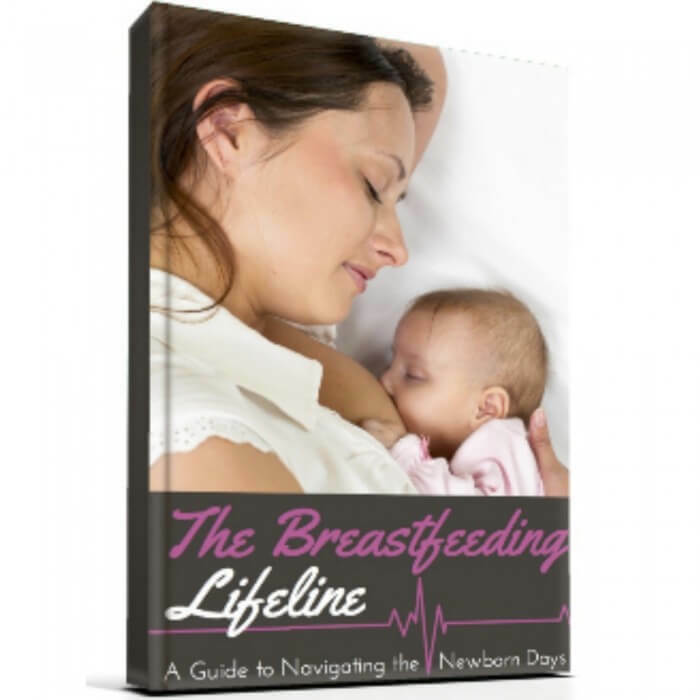 Mastitis does not pass through your breast milk and into your baby. 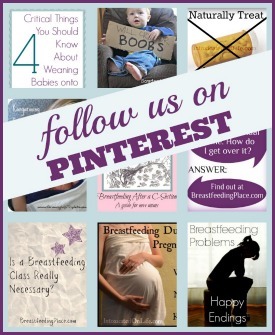 Rather, lots of breastfeeding is crucial for a steady recovery from mastitis! Frequent breastfeeding keeps your milk flowing and prevents any further plugged ducts that could aggravate the condition. 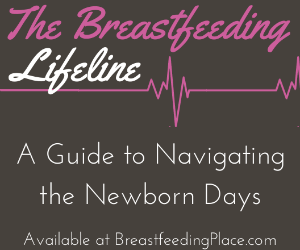 If you have to be away from your baby while battling mastitis, try to pump more frequently. As is the case when trying to get over any sickness, drinking lots of fluids will help your body heal. The extra fluids will also be important if you have a fever with mastitis, which is usually the case, and make sure your milk supply stays strong while you are nursing frequently. If you find plain water boring, try a warm herbal tea, warm broths, or diluted fruit juice. Mastitis requires lots of rest. This is not always easy for a mom to come by, especially if you have other children. If possible, find another adult who can help care for older children while you recover. Even if you can’t sleep all day, lay down as much as you are able. When your nursling goes down for a nap, tuck yourself in with the little one to rest and nurse as much as you can. Have you ever recovered from mastitis without taking antibiotics? I unfortunately had one horrible bout of mastitis that ended in a miscarriage from such a high body temperature 🙁 I can absolutely tell when a bout it coming on, and have found Mega dosing on vitamin C at the first twinge and going without a bra is a HUGE help too. Oh, KM, how sad! I’m so sorry that you suffered a miscarriage. Going without a bra is another great tip to share. Keeping those milk ducts flowing freely is very important! Just a tidbit of info, mega dose Vit C can and is also used by some ladies as a form of birth control. I’m not saying the vit C caused your misscarriage, but it is a possibility. Tina, you bring up a good point. It’s always a good idea to check with a health care provider before taking mega doses of any vitamin, especially during pregnancy. There can be unintended consequences. I don’t know that KM took the Vit C while pregnant when she miscarried, so she may decide to clarify later. I have heard other women share that they had a miscarriage after a very high fever. No matter the cause, and it is often unknown, miscarriage is heartbreaking. I had a nasty case when my son was about 3 weeks old. I did mega doses of Vitamin C, Warm Compress, and massaging pure Lavender Oil on the breast. Lavender is a natural and baby safe anti-biotic. I’m so glad that you were able to recover from your infection, Melissa!